Humane wildlife control is the application of common sense and compassion to effectively resolve problems that arise between people and wildlife. Poisons, lethal traps, and random relocation of evicted wildlife are now known to be less effective than non-lethal, humane solutions. Not to mention, poisons and lethal traps can be and are horribly cruel and inhumane. So it’s easy to understand why poisons and lethal traps are exceptionally poor solutions to wildlife problems, but relocation rarely works out as well as people envision either. It is still preferable to lethal methods, of course, but many things can go wrong for wild animals when they are relocated. There are numerous simple solutions to keep animals from getting into your trash. So, what kinds of solutions are considered humane? They are solutions that make use of knowledge of the animal involved, common sense, a little patience, and willingness to make some adjustments to the ways in which things are managed around your house, such as trash, pet food, birdseed, and attending to repairs on your home’s exterior. Many humane solutions to wildlife conflicts are surprisingly simple, and even when they are not, a humane solution gives you more lasting results, saving you time and money in the long run. Read on for ways to address your wildlife concerns. 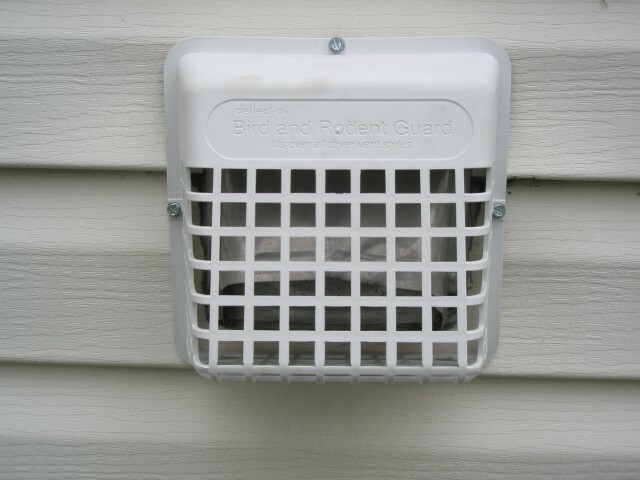 Prevention is the key to keeping wildlife out of your home. If an animal is already in your home, check out the animal in vent and animals in chimney articles, as well as appropriate animal-specific removal articles listed at the end of this article. You’ll find safe, humane, and effective ways to resolve an ongoing problem. Wherever different building materials meet, gaps may form. Fill small holes with caulking, copper mesh, steel wool, or expandable foam. Repair larger openings with more substantial materials. Add a threshold or door sweep to close up space below exterior doors. Keep wildlife from denning under porches or decks by installing galvanized welded wire (1-inch square openings) in an “L-shaped” form one-foot into the ground and one-foot outward from the porch. Reinforce latticework with heavy-duty screening. Replace broken windows and seal any gaps in window casings. Add a clear plastic window well cover to basement windows. Add hardware to pet doors so you can lock them once your pets are in for the night, or use an electronic one that only admits your pet wearing a radio-signal collar. Replace deteriorating caulking and expandable foam around utility hole gaps. Install ready-made covers on bathroom, dryer, and stove vents, and secure larger vents with heavy-gauge screening. 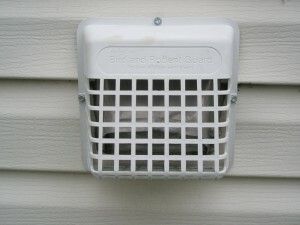 Keep gutters clean to keep gaps from forming and to protect the trim board from rotting. Repair gaps in siding, and keep branches at least six feet from your roof to prevent them from damaging shingles or giving animals access to your roof. Keep animals out of your chimney with a fire-code-approved chimney cap, but always make sure no animals are inside before capping the chimney. Choose appropriate garden fencing for your circumstances. Height and sturdiness will depend upon the animals you’re trying to keep out. Unless you have children or pets, electric wire fencing may be an option. Use mesh netting over plantings to protect them from birds, rabbits, deer, and other browsing wildlife. Monitor the netting daily for any animals that may get entangled. 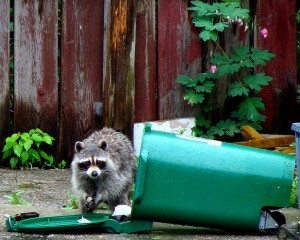 Discourage wildlife from dining in your gardens with sensory harassment techniques, such as a radio playing or motion-activated lights or sprinklers. Add tree protectors to special trees. 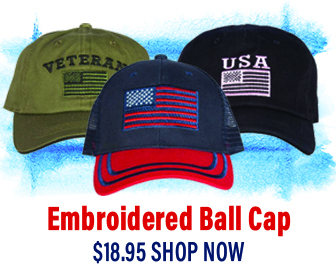 Check with a nursery or garden store, or make your own with heavy-gauge wire fencing and garden stakes. 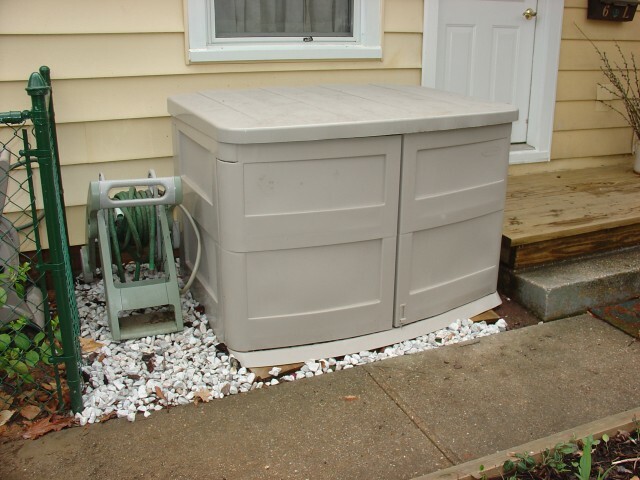 Store trash in an animal-resistant container, shed, or garage until the morning of pick-up. Freeze discarded food items until trash-day to cut down on food odors. 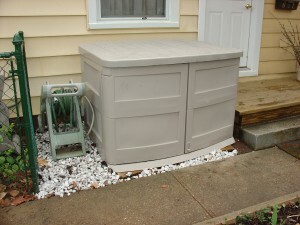 When the trashcan has to be left outside, put a bungee cord or weight (a brick or heavy rock) on the lid. Not all wildlife control services are equally effective and ethical in their practices, so it’s important to check out a company’s credentials before hiring them. Your state wildlife agency’s website should have a page about wildlife control services, and your local humane society, animal control agency, or a wildlife rehabilitator may be able to offer a recommendation. Is the company licensed to do wildlife control work where you live? Do their practices comply with relevant laws and regulations? Does the company carry commercial liability insurance? Will their inspection fee apply toward cost of the job if you hire them? Do they use one-way doors to allow animals to exit, and remove dependent young by hand, safely reuniting moms with their young outside your home? Are they able to perform repairs to prevent animals from re-entering? Are their materials and work guaranteed for a minimum of one year? Once you select a company, reemphasize that you want the problem resolved as humanely as possible, and that you want entry points to be effectively sealed once they are certain that all animals are safely outside. Prevention & Safe Solutions". Here is the website link: https://effectivewildlifesolutions.com/humane-wildlife-control-prevention-safe-solutions/. Thank you.